When a small hardware store in Grover City (located in the building to the immediate west of the present Grover Beach Store) came up for sale, the brothers were able to purchase the business for their young families out of Los Angeles. For the next several years both Lee and Glenn (and their first employee Wally Lewis) worked tirelessly to build the business. 70 hour weeks were the norm and profits continually reinvested into the business to fund expansion. In 1964 Glenn purchased Lee's share of the business and managed the store with the help of Wally Lewis. 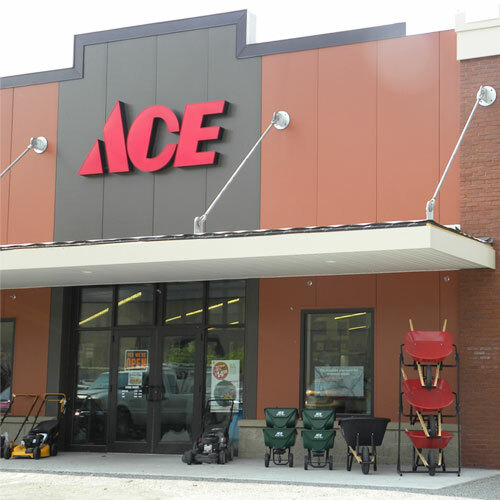 In 1972 Miner's joined Ace Hardware, a buying co-op owned entirely by independent dealers. In 1982 Mike Miner, Lee's oldest son, was named President of Miner's Ace Hardware. The ensuing years saw significant change: the Grover Beach Store has quadrupled its size, Arroyo Grande opened in 1986, Morro Bay opened in 1997, Los Osos opened in 2000, Atascadero opened in 2002, Nipomo opened in 2009, and San Luis Obispo opened in 2010.